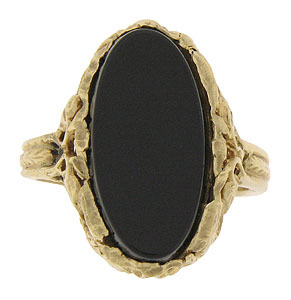 A smooth polished onyx rests in the center of this 14K yellow gold antique estate ring. 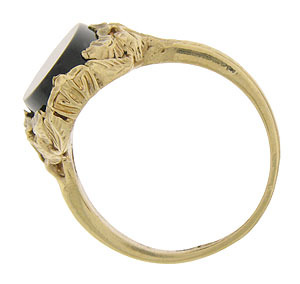 Richly engraved vines and ivy leaves frame the oval stone, adorning the shoulders and sides of the band. 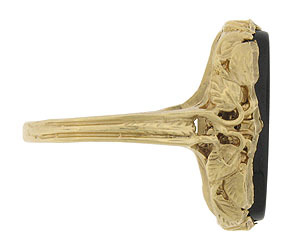 This stunning Art Nouveau ring measures 19.29 mm in width. Circa: 1910. 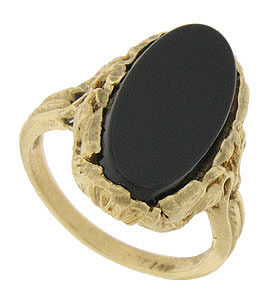 Size 5 3/4. We can re-size.